New figures released today by the Finance & Leasing Association (FLA) show a 36% increase in the value of consumer new car finance provided through dealerships in 2012. The number of new cars financed in this way increased by nearly 140,000, or 27% compared with the previous year. 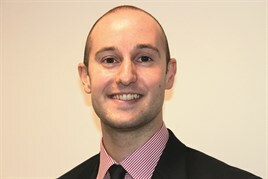 Paul Harrison, FLA head of motor finance (pictured), said: "These figures show that customers want good value deals and are finding them. The number of cars financed by FLA members is at its highest level since before the start of the recent financial crisis. During 2012, motor finance providers saw a 14% rise in the total number of new and used cars bought by consumers and businesses using dealer finance. A total of 1.91 million cars were financed, compared with 1.67 million in 2011. This strong growth in dealer-based motor finance meant there was a significant increase in the percentage of private new car sales financed by FLA members, which rose from 63.5% in 2011 to 71.2% in 2012. The consumer used car finance market also had a good year. Overall in 2012, this market reported both value and volume growth of 8% compared with 2011. How much of this increase was due to 0% deals I wonder? Quite a lot I expect!